The decision many companies and organizations make when investing in a LIMS is often rooted in the need to be more efficient and productive. This may involve storing vast amounts of information, or increasing the throughput of a test or process – but overall, a LIMS is something designed to improve and streamline operations. Over time, many labs find their LIMS needs evolving. Introducing a new functionality to a Company’s operations – the need for formulations management, for example – can often challenge a LIMS, demanding the addition of new tools. Sometimes such functionality can be bolted-on easily; other times, developing custom integrations can be time-, cost- and labor-intensive. It can be a steep price to pay simply to add a few elements which boost productivity, efficiency, throughput and quality. There are a set of modules included in the LabVantage software which simply need to be turned on – eliminating the need for complex custom tool or application integrations. Create reports for worklists, certificates of analysis, analytical reports, user certifications, samples due. Read on to discover how to configure your LIMS using LabVantage’s pre-built modules. If you’re looking to combine robust LIMS functionality with an electronic lab notebook (ELN), we can help. Our ELN worksheets allow you to create, manage, approve, and control lab work in a flexible and powerful, paperless notebook. Able to be merged into electronic workbooks, the worksheets can either be created on the fly or from pre-defined templates. Pre-populated and ad hoc text fields include instructions and testing notes, blocks for LIMS data entry, connections to instruments, support for reagents, attachments, and various metadata. ELN worksheets follow a standard lifecycle for In Progress, Complete, Pending Approval, and Complete or Cancelled, clearly signaling the nature and completeness of the work. LabVantage also provides a powerful search function across workbooks and worksheets, so that the results of experiments or testing are always accessible. A Chemical Viewer allows chemical files to be uploaded for viewing and the Marvin Editor control allows chemical representations to be modified or created from a blank canvas. And for situations that require a paper copy, ELN worksheets can be printed to a variety of formats. Providing the same robust controls of an ELN worksheet, the LabVantage LES worksheets are used to enforce repeatable processes during routine lab testing. As with the ELN, the data collected and accessed within the LES is the same data accessed in the LIMS, which means you no longer need to transcribe data between systems or create and test complex interfaces between standalone systems. As labs require various consumables to complete testing, the consumables may need to be tracked for inventory ordering, and also to make sure the correct amount are being used for each test. In the case of reagents, you may need to verify in the LIMS that only a certain amount is used, ask the LIMS to track the remaining amount of reagent, and even require reagents to be mixed or combined from several containers to fulfill the amount the test requires. LabVantage can also document the instrument required to mix a reagent and require approval before their use. Inventory can be tracked by location, down to the room, cabinet, and position on a shelf, with a certain container designation and barcode. Finally, the expiration dates of consumables can be tracked to allow for timely reordering and proper disposal. Many labs require their testing environments be tested for cleanliness or sterility. LabVantage Sample Monitoring allows the lab to be divided up into locations and nested sub-locations so that each surface or environment can be tested and tracked individually. For example, testing can be conducted on a certain facility, building, room, or a specific sink, bench or even a specific person. Samples can automatically be created based on pre-defined schedules, and monitored by groups, sorted by proximity of testing locations or by type of test. Image maps serve as an easy, visual way to identify location layout, and allow you to drill down into child locations with further image maps. Managing a formulation is a specific type of testing, which is repetitive and requires precise knowledge of how processes, ingredients, and variations lead to an optimal product. The LabVantage Formulations module helps lab personnel create and track formulations, process them through a lifecycle, and track historic formulations so that every test and result is easily made available and repeatable using a powerful search capability. Once an optional formulation is approved it can be promoted to a LabVantage product, transferring the properties of the approved formulation – such as the recipe ingredients, parts and quantities – to the final product for manufacturing. Stability—or shelf-life testing—allows a lab to provide evidence of how the quality of a product varies with time under the influence of various environmental factors, such as temperature, humidity, and light. It also allows you to establish or verify a retest period or a shelf-life for a product and recommended storage conditions. LabVantage Stability allows initial sampling (called a time zero sample) to be executed at the start of the stability plan, or lets you use an existing sample’s results already stored in the LIMS. Stability plans for a product can be broken down into duration from the plan’s start and across multiple storage locations and conditions. For example, a stability plan can test a sample starting from its time zero sample (manufacturing completion or plan start), then automatically schedule retesting at 3 months, 6 months, and so on. Multiple samples can be tested based on positioning—such as upright or inverted—and storage environment, such as room temperature and humidity of 25C/50% RH, or 40C/75% RH, etc. As one might expect, inventory is accurately tracked as samples are pulled and tested across the stability plan duration, and inventory calculations can determine the number of product containers required to complete testing as planned. Stability testing can be created as templates and reused, which includes pre-defining the schedule timing, environmental conditions, desired reserve amounts, calculated number of containers required, associated testing, and many more attributes for each point in the planned process. Stability studies can collect multiple stability plans together, thus allowing you to collect and control assorted products. While Stability Studies run, work orders and samples are automatically logged in the LIMS, alerting lab personnel within the proper timeframe, and all data is captured and reportable in final Stability reporting. With LabVantage Enterprise, enhancing the functionality of your LIMS can be as simple as turning on designated modules already included in the system. 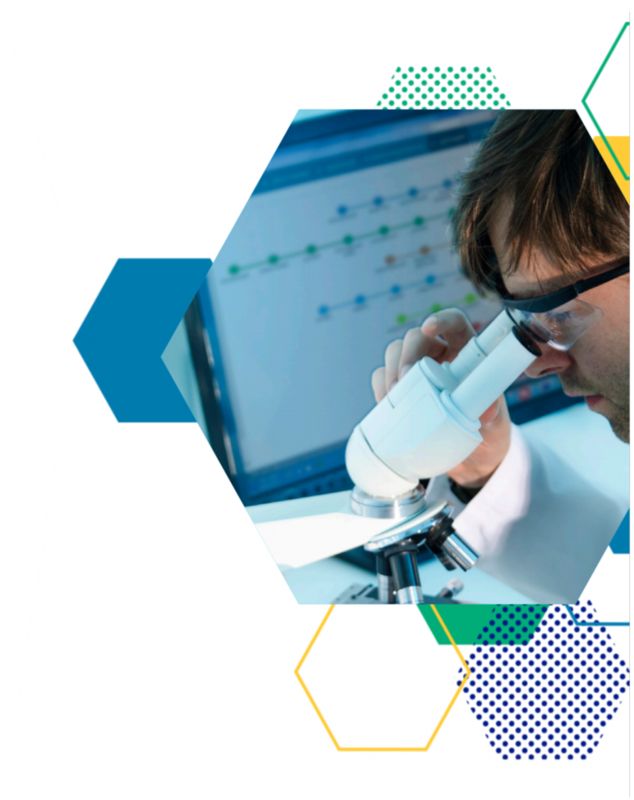 To learn more about this and other LabVantage 8 editions, contact LabVantage today.